At XYZ, we track the success of the community very closely and do our best to amplify it. 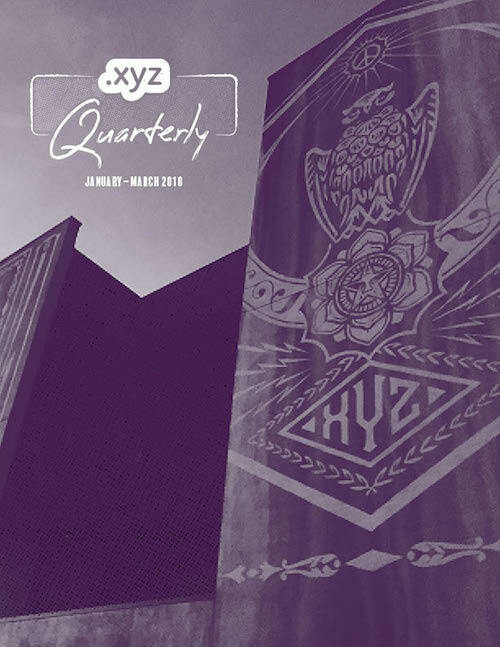 Today we released XYZ Quarterly. We’ve had an incredibly successful start to the year, from watching #GenXYZ community members secure a combined $5,000,000 in funding for their businesses, to attending 7 events in 3 different countries, to welcoming around 500,000 new registrations across our portfolio of TLDs. In creating this quarterly report, our aim is to give you a snapshot of what is going on at the XYZ registry. This includes the many events we attend to spread the word about our TLDs and their adopters, the partnerships we have forged to benefit the next generation of internet users, and the hard numbers that tell the story of each quarter. Of course, none of the benchmarks that we’ve achieved as a registry would be possible without our loyal registrar and reseller partners, as well as the innovative businesses and individuals of #GenXYZ that have inspired many others to pursue their dreams online using one of our domain extensions. Both our registrar partners and end users receive their own dedicated section in the XYZ Quarterly, allowing you to get to know their faces, hear their stories, and understand the irreplaceable role they play in our success as a registry. I have always believed in openness and transparency as valuable traits for a company. It’s clear, now more than ever, that Generations X, Y, and Z want businesses to have a more accessible company culture, and to be fully communicative and open about the path which the business plans to take to meet its goals. That’s why XYZ has always kept an open dialogue with our supporters and partners alike, and why we have always been more than happy to bring our customers for a virtual look inside our office to experience XYZ’s culture for themselves. Thank you for an incredible 2018 – cannot wait for the experience of what’s next. Next Post > Cheers to 4!